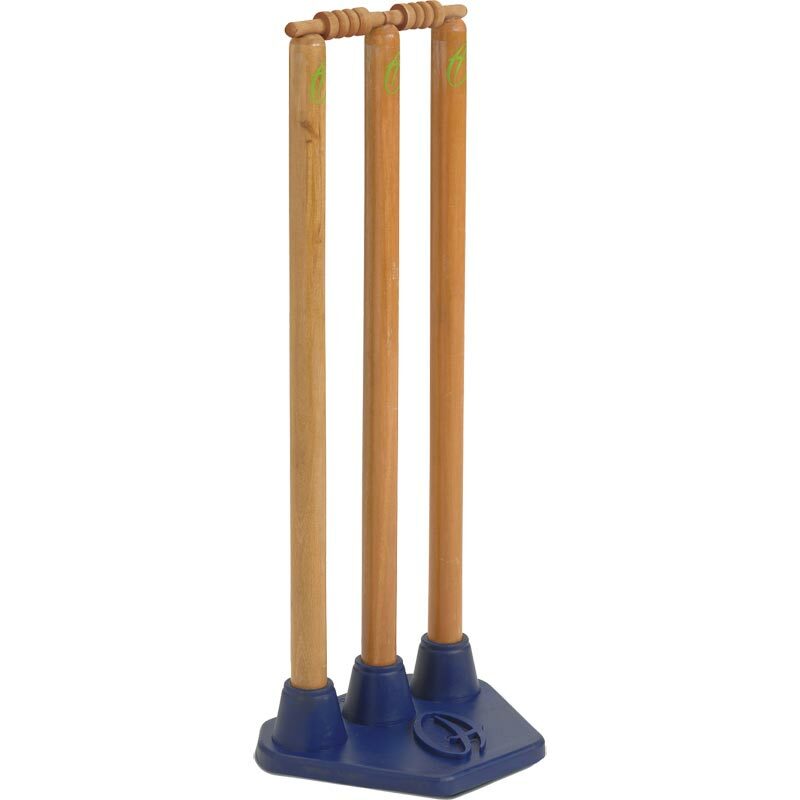 The Harrod Sport ® Pro Flex Cricket Stumps are suitable for use on all surfaces for training purposes making them excellent for any club or school. Strong moulded rubber base with integral steel counter weight. Regulation 710mm x 35mm diameter stumps with bails. Sold per end - One end of pitch only. These are the best stumps for nets that are available on the market. They have good heavy weighted bases and the wooden stumps are good quality that lasts. We have painted ours and logo'd them up and they look great. The bases have failed after approx. six years of use in an indoor centre being used every day during the winter, so I will be ordering 4 more sets shortly.